New local food-bank coordinator wants to highlight resources, emphasize needs. 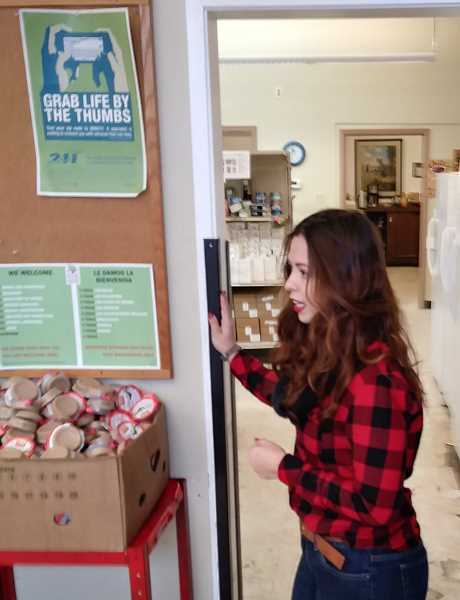 Although she wasn't necessarily looking for the position, Gabby Pena of Gervais had developed a pretty good idea of what she wanted to accomplish when she was recently named as the new AWARE Food Bank coordinator. This past December marked two years in which Pena had already served as a volunteer at the food bank. 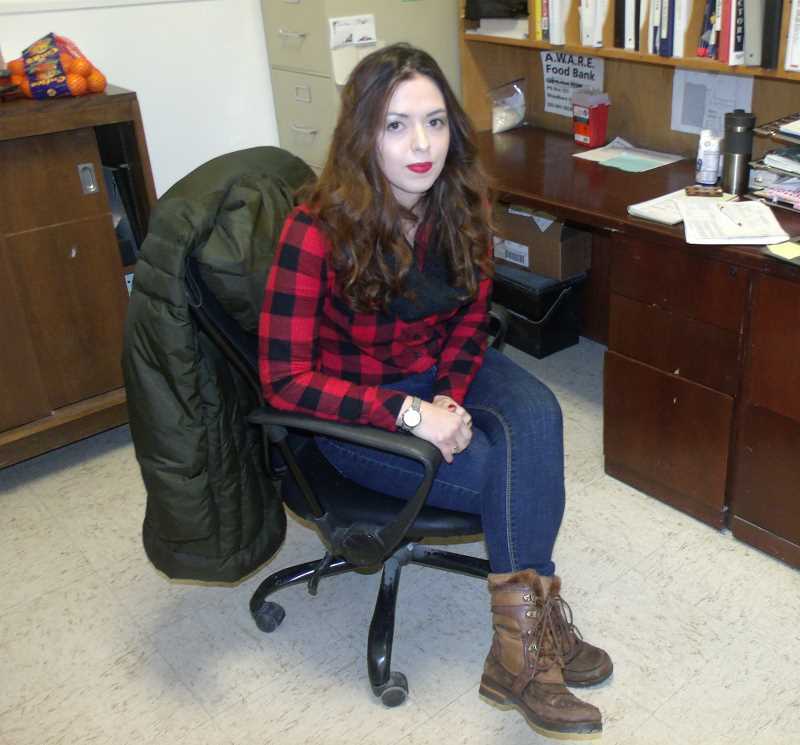 She learned the ropes under the tutelage of previous coordinator Wilbur Kauffman, who stepped away after serving 7 years at the helm, dating back to 2011. "It wasn't until I learned that he planned to retire that I considered this job," Pena said. "I loved being here and helping people." Helping people is in her nature. Pena, 28, served as a care giver for an adult foster home prior to taking this position, and she's also worked as a personal-support worker. She was hired directly through AWARE's partner, Marion Polk Food Share, to save money on liability and employment insurance, according to food bank board President Walt Blomberg, who noted that the board will continue to oversee and maintain control over the direction its local food bank. 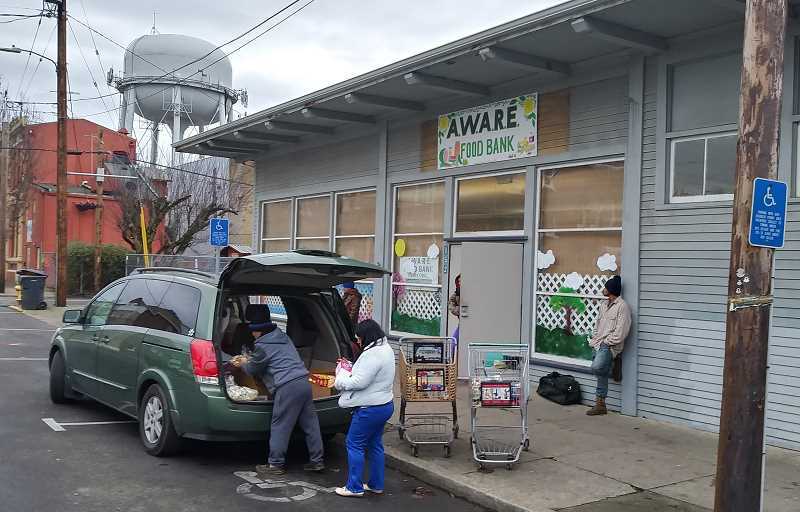 One critical emphasis Pena determined immediately is the need to ensure that the part of the community that needs food-bank services has knowledge of those services. "We are looking to make sure that everybody who needs our resources knows that we are here," Pena said. "I had an 18-year-old volunteer come in here, and she said she never knew this place existed (before volunteering), and she grew up here in Woodburn. "That was a light-bulb moment for me." Other ongoing needs include luring volunteers, especially bilingual speakers – English, Spanish and Russian languages. "We want to break down as many barriers as we can; to let the community know that we are here to support them," Pena said. "This facility is run on donations of many kinds: donations of peoples' time; donations of money; donations of food," she added. That said, the food bank has actually gone through one of its more resource-stressed periods – the holiday season.